WHAT DOES MY CAR REQUIRE? 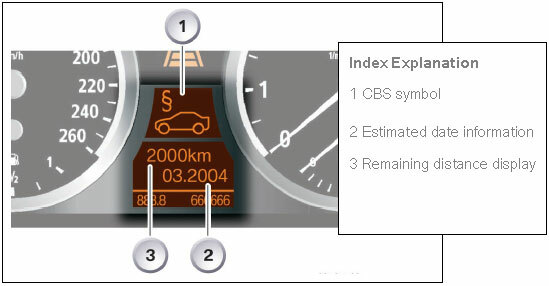 Condition Based Service (CBS) was first introduced with the BMW 7 Series and is an evolution of the service interval indicator. This has featured on other models in the BMW range. 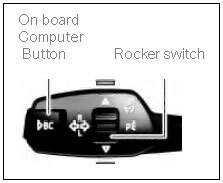 All current models are equipped with the CBS system except for X3 and Z4. The CBS system is at the forefront of service innovation, and for this reason we want to ensure that you understand its principles and benefits. Maintenance is not normally necessary until such times as wear progresses to defined limits. This flexibility in defining maintenance intervals and the scope of maintenance work required. This means that only those components that the sensors show to be due for maintenance are serviced. In essence, this system allows each service to be tailored to the requirements of each and every BMW. This symbol represents the overall status of the vehicle assessed by CBS. The remaining distance and / or absolute service-due date are calculated and shown separately. This calculation includes an integrated interval forecast, which reflects your driving profile. With flexible service intervals (engine oil, micro filter, front and rear brake pads, and particulate filter changes (diesel only)), the last service interval is taken as the new starting value. CBS data is stored in the remote control (key) when the vehicle is in motion; updating it every time you drive. The Service Advisor can then read the CBS data using the Key Reader, which will display all the CBS data and status using the Service Acceptance Module (SAM). 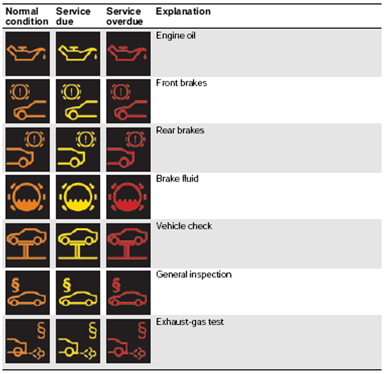 From this display, Service Advisors can print off the order-specific service sheet after having co-ordinated the service measures. At Prestige, we tailor suit the service to accommodate the individual requirements of the vehicle, we ensure that every car left in our care is thoroughly checked.